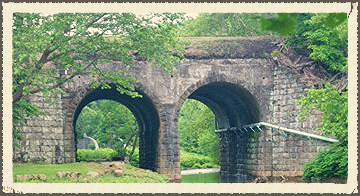 The stone bridges still stand to this day over the Tub Mill Creek water. Aqua Ducts such as this one was built over the Conemaugh River. Locks were used to raise and lower the water for large boats to pass through during the early 1900's.